Why not use more computers than people? hudson can install JDK for you! Different versions! hudson kills processes used for making the builds and won't let them live longer than needed. Have you ever wondered where that value came from in a Java program? One place to look for is the VM arguments. They are set in the system and not when you are writing your code. A code like this will give you some good understanding of VM arguments. With emerge of G+, social life on the web has come to a new era. An era, that you can not ignore it. There are lots of advantages in it. A simple sample is a search result, Google will return results that your circles suggest you, and if you are working on testNG as a newbie, you always would appreciate its creators (Cédric Beust @ http://beust.com/weblog/ & https://plus.google.com/u/0/108840253750748459271/posts) +1 on testNG links. On the other hand, there is always concerns privacy issues. I am going to suggest some steps in order to protect your online social privacy as much as possible. These steps make your life more private to third parties and not the social network (e.g. Google+, twitter or Facebook) you are using. Let me make it more clear by making an example, let's say you comment on an image in Facebook, after a while you decide that you don't want everyone know that you care about that specific photo and delete that comment. However, as all we know this would be a logical delete in Facebook data center, they are just marking your comment as deleted and won't ever showing that to you or anyone else, but they keep that in their data center to make sure they know as much about you as possible. If you try this on Google+, it would be even more transparent, comment on a photo, then delete it, after deletion you would still get notifications on that photo. Use like as less as possible specially on webpages outside Facebook. If you have to use Like and nothing else on the world make you happier than hitting Like button, do it. What I suggest is to have a Trace folder/tag in your favorite bookmark and bookmark that page. Do visit the Trace folder/tag in your bookmark and unLike the pages, photos, groups that you've liked. Google+ is somehow the same as Facebook, it is more transparent in terms of privacy (at least in my view) but still there is not API announced for it yet. So you can not expect to have whipe all your activities on G+ using some tools like twitwipe. You have to do that manually. There is not wall in G+, you have to visit your notifications page (https://plus.google.com/u/0/notifications/all) and post page (e.g. https://plus.google.com/101413016003587078317/posts this is my G+) to be able to see all your transactions with G+. You can delete your posts, your comments, your +1s. Remember, it is nice to comment on friend's engagement photo, congradulate him/her on his/her best day of his/her life. But there is no point to leaving it there, if he replied back to you and thanked you on that. It means that he received your message. Keeping your comment there is like saving your voice-mails for eternity. I am sure there wouldn't be any use for you, is it? So it is up to you to delete that. The application component environment is referred to as the ENC, the enterprise naming context. It is the responsibility of the application component container to make an ENC available to the container components in the form of JNDI Context. Lytro, will be a revolution in photography, no doubt about that. There were so many revolutions in this industry, from film photography with negatives to digital photography to the small cameras you can have it wherever you are carrying your phone with you. 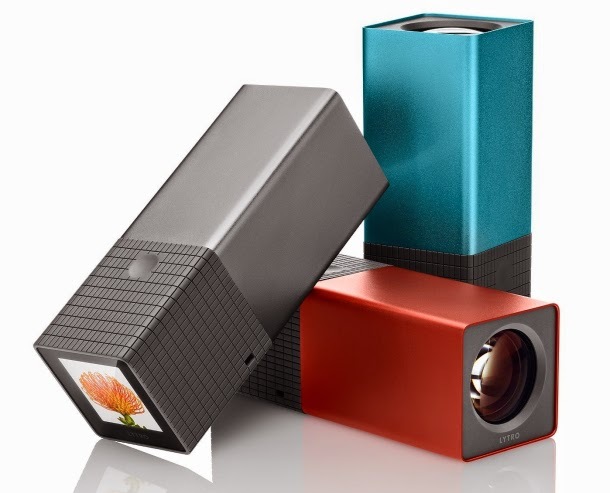 I don't want to write a review about Lytro or persuade anyone to buy it. I am going to list my concerns about it. To my opinion, Lytro is nice for taking pictures and viewing them online, or in its small LCD it has. You can't find any discussion about if you can import the image to a jpg file or not. If not, you are stuck with the lpf file and you have to only view your images in that. You can not have images on your cell phone, photo frame or any other device. I believe there will be a conversion tool available (if not already in the software included). Other concerns of mine are the quality of the images imported from the lpf file. My other concern is how much noise is going to be there? Is it even comparable to the most amateurish DSLRs in terms of quality in pictures taken? It is half price of some DSLRs. With a DSLR you can adjust everything, ISO, exposure, .... With Lytro you don't even have a flash. Is it good enough for you? If you don't mind the price and are too eager to be among the first people to try it, head to lytro.com and buy it. If you are looking for some point and shoot, you can find cameras for under 100$s. For 1000$s you can buy a really nice DSLR right now, top of the line. You can take HDR images with DSLRs, ... but you can only have a picture taken with Lytro that you can focus later. How many pictures you want to have that functionality? Imagine 350 images (i.e. it's lowest capacity version of Lytro) you have taken from a wedding, how long will it take to figure out the best focus points using its software? isn't it easier to take two or three pictures using a nice DSLR and do no after-taking-focusing anymore? HAR file is short for Hibernate Archive File (in JBoss world). These types of files are being used to configure JBoss AS to utilize hibernate and access hibernate and be able to provide access to hibernate via itself to the client code. Configuration files can be archived in a .har file and deployed on the JBoss server. Minimum HAR file consists of the entity class heirarchy and its hibernate mapping files (hbm.xml) and an XML file resides under META-INF folder. The xml file which is needed to be ended with -hibernate.xml is for registering SessionFactory and how it handles sessions. Let's say you are trying to automate your build process, and you are using Ant. How many HAR files you want to generate and in what structure ? The best is always the easiest, you only need a single .har file which has all the necessary classes and hbm.xml files. You can not have more than one har file with the same SessionFactory name in them. That will result in an exception. Also it won't be a wise choice to have more than one SessionFactory. You might want to create one har file with only the xml file under META-INF and have every class and its hbm.xml in another har file, this won't work either. Since the SessionFactory have not been bound to the classes. The bounding is done by being in the same file (or folder). Both are the same, but the later one calling the method you need to create String  first and then call while the first one you can call it without creating String . Some of the most interesting people in business, founder of Excite, have you ever used it ? Founder of FriendFeed and former employee of google and Seth, creator of scavenger. Watch it if you have time. It is easy to use Google Sites, Google apps and Google blogs (next generation name for blogger). But it is not that easy to remember if you have registered your blog with one of these services long time ago or is it someone else ? I am saying that for those who encountered this problem in hosting their sites/blogs with the custom domain name with google blogging. Another blog or Google Site is already using this address. Good luck finding that blog or one page that you created long time ago and deactivate it. I couldn't find that, I wasn't even sure if it was me that created it, so I ended up deactivating my whole google apps for my domain, and I am still waiting for it to deactivate to see if it solves the problem. I know google for privacy issues won't let anyone know who is the one hosting your domain name on their sites. It is not fair to the real owner of the sites since even without confirmation that it is their own, you can ask google to host it on its google sites or blogger service. There should be some sort of approval for domains to add to your blog or sites. It might be as easy as first change the CNAME to ghs.google.com. and then use them with google sites, blogger service. That way one who has no control over a domain can't add that to his/her account and blocking you from using it in future. 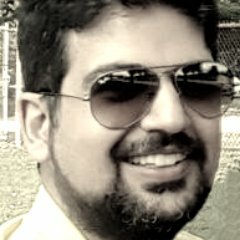 There should be some simple way to resolve this issue, and should have been at least addressed in one of blogger's posts. I am looking into Hibernate / Jasper report integration. It seems that Jasper Report has not initially been compatible with Hibernate but only from it later versions. This make life harder when it comes to the nature of Jasper Report, whom as a novice I believe treats everything as a row and should be inputed with rows of data to be able to generate the report. In different sources, I have come across solution on how to integrate Hibernate with Jasper reports. These are what I have found. However, when the Hibernate query returns tuples of objects (each tuple as an array, each array as an element in the returned List), things get a little tricky. Jasper needs a way to reference each object in the array by a field name. This class is a good solution, but at this time you are required to pass an array of field names matching the results of the query. And he/she is suggesting that it is a helper class needed to interpret those results and transfer them into usable data for Jasper. John is also suggesting the same solution for using Hibernate with Jasper; You can find more tips on optimization of Hibernate / Jasper integration in his post as well. This is also a really good start for Jasper, a really nice Hello world tutorial for Jasper Reports. App server is JBoss, I created the Jar file for the bean class and interface in the right directory. Now I created a simple client using EJB annotations, but I am getting a NullPointerException. EJB annotation is an incejction, it is supposed to be deployed on the app server and then executed in an Application Client Container (ACC) so that injection can occur. Starting the ACC requires an application server specific command. The following wiki explains the usage of the ACC in JBoss (how to package, deploy and launch an ACC): How to use an application client in JBoss-5. If you don't want to use an Application Client Container and instead just run the application client class through a java command, injection won't be possible and you'll have to perform a JNDI lookup. And in both cases, you'll have to provide and use a remote business interface for your bean. However, if you want to use this code in a POJO style, you won't be successful, looking up that JNDI. In the first cases, you were running your code within a container, thus you don't need any specific configuration and the container will take care of it. However, in a POJO style (i.e. using main() method), you need to have some specification detailed out. One need to set up server properties to get the InitialContext. You also can create a jndi.properties files with the following parameters, and place them in your class-path. The UserTransaction interface allows applications to control transaction boundaries. The TransactionManager interface allows the application server to control transaction boundaries on behalf of the application being managed. now you should be able to use Hibernate and it should be able to connect to your database flawlessly. 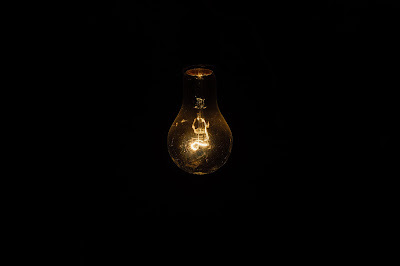 Please note that the connection datasource name in hibernate file is java:XAOracleDS and not XAOracleDS. This is not the whole code, you need to take into consideration the flush and close of the session. For updating or deleting, one should know the uniqeIdentifier, if not you can use SQL query to get that (not described here how). Trying to persist a jBPM into a database ? and you are searching the internet for it ? that's not going to get you the best result. You might get to this page: http://docs.jboss.org/jbpm/v3/userguide/persistence.html where it says you need to use the jPBMContext but what you need to know is that you don't need to do anything. jBPM if set up correctly, it persists automatically into database. You only need to change (or use) jPBMContext where you want to change the default behavior of the system. Making some monitor, a primary monitor is a matter of having the panels on that monitor. No one wants to work on one monitor that has panels of its machine on the other one. I have tried this on Red Hat Enterprise 6. Right-click the panel you wish to move and select "Properties". Uncheck the "Expand" option under the "General" tab. Grab one of the edges of the panel by clicking on the left or right end (top or bottom end for vertical panels). Drag the bar to the desired screen and position. Check the "Expand" option in the "Panel Properties" window and click "Close". This way, you are setting the system.out to a file. After that, anything you put on the output buffer instead of printing it out on the console, it will be printed in a file system. add this line the to the first line of oc4j.cmd. Using this option, you don't need to set ORACLE_HOME in your environment variables any more. There are two ways to define Oracle home for the PL/SQL developer. One way is to have it in the environment variables, and point it to the installed directory. This works globally, so any other program/software is going to look for ORACLE_HOME will use this one. Another way is to use the ORACLE_HOME registry value. You would be able to find it under HKEY_LOCAL_MACHINE -> SOFTWARE -> ORACLE -> ORACLE_HOME ; Considering you have installed Oracle on your PC. Using this registry needs some tweaks. You need to find the params.ini in your PL/SQL developer installed directory and uncomment the oraclehome and set it to ORACLE_HOME. In the latter approach, PL/SQL developer first looks at the params.ini file for ORACLE_HOME, so you can have set your ORACLE_HOME variable in your environment variables to some other directories and use another one with your PL/SQL developer. If you are running a standalone OC4J, make sure that you have set the ORACLE_HOME and JAVA_HOME properly. If an IT guy in your company has set up your computer, then you need to double check that ORACLE_HOME is not set to the oracle folder installation but the location where you unzipped OC4J. Configure your Eclipse with 1.5 version of Java. You need to download Java 1.5 and install it somewhere on your PC, doesn’t matter where. You only need to configure Eclipse once. With subsequent projects, you can skip these steps. Mule home directory (such as C:\mule\examples), and click OK.
Click the Workbench icon on the right to display the workbench. Please note that you might get a warning message in your eclipse window saying that you need to create a JRE environment in your Eclipse. Start Eclipse, and set up a workspace for your installation of Mule if you haven't already. In the workbench view, choose Help > Install New Software. Review the IDE license, select the option to accept the license, and then click Finish. Click Yes to restart Eclipse. From this moment, it should be easy. Whatever project you need to create, just create as a Mule project. You need to have a Mule server installed for your Eclipse. Installing is as easy as downloading the mule from its website, unpacking it and then simply pointing to it via the Eclipse environment. You also have the option to create a Mule configuration file. I suggest you to do that under a Mule project. Creating a project, you can simply be able to use the Mule examples as well. For example, you want to implement a simple web form, just click the Hello example and then you can change the code and have your own logic implemented. When you use Eclipse, you are saving time. Whenever you change things in your source code and run it on the server, Eclipse will deploy all the jar files and you instantly see the results. Just keep in mind that you need to run the configuration files and not java files using Eclipse Mule server configuration. It usually can be found in package/conf or some simillar path. Apparently this shows that the service is trying to see if there is a live JVM or not, and if not it will uses its own (I guess).